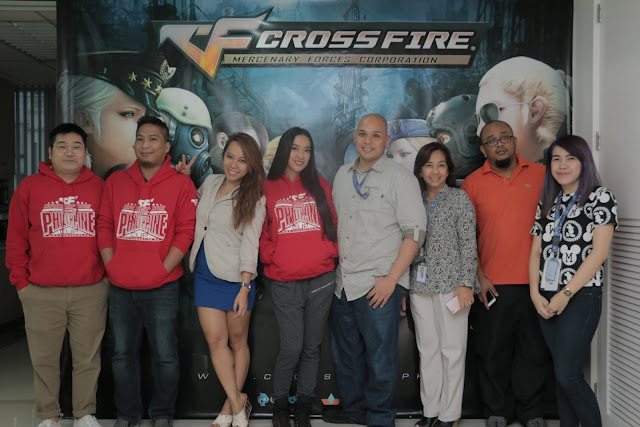 Recently, Mocha Uson of the Mocha Girls, signed up with CrossfirePH to be its Ambassador. A first of its kind partnership in the Philippine gaming industry, where the character of an FPS / MMO(massively multiplayer online) game will be based on a Filipino Celebrity. In these case the image of MochaGirls' Mocha Uson. Mocha Uson is not the only one joining CROSSFIRE. With this partnership, she is the Ambassadress of Crossfire, her group MochaGirls will be part of the Crossfire's events and other marketing activities. Who knows if the rest of the Mocha Girls will also get their image immortalized in CROSSFIRE. Let's keep our fingers crossed! Crossfire a multi-player online game which is like the infamous Counter-strike LAN game back in the days. A first-person shooter tactical game where you can play real-time w/ anyone in the world. A battle of keyboard-skills and strategies, that requires hand and eye coordination. Crossfire has 500 million registered players worldwide with over 6 million concurrent users. It's already available in 80 countries including China, Vietnam, North & South America, Europe and of course the Philippines. Crossfire is published by GameClub, developed by South Korean gaming company, Smilegate Entertainment and was released in March 2007. Smilegate is also responsible for the phenomenal online basketball game FREESTYLE(2004) & FREESTYLE2(2011). You can download the Crossfire game for free at Gameclub. Mocha Uson is the leader of the all-girl sing & dance group Mocha Girls. Mocha Girls have been in the industry for almost 10 years now, since 2006. They've been frequently performing in Metro Manila and abroad. 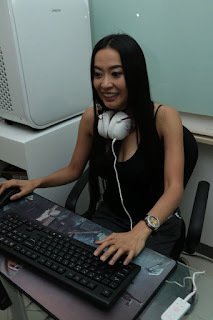 Mocha, writes her own blog and maintains her own Facebook page aside from the official Mocha Girls FB Page. Recently, Ms. Uson and the Mocha Girls were very vocal in their support with President-elect Rodrigo Duterte. The group went to numerous places to perform in support of Duterte's Presidential campaign.